Official Opening Friday 21st August at 6pm. A number of past exhibitors present their work in the gallery space in 2015. Kerrie Coles, Kelly Barlin, Gina Ermer, Vicki Gerritsen, Natalie Engdahl, Mal Cannon, Kerri Shying, Dane Tobias, Grant Keene, Chris Byrnes, Lynette Bridge, Ahn Wells, Susan Ryman, Helen Dunkerley, Susan Porteous, Toni Amidy, Sharon Williams, Linda Swinfield, Barb Nanshe, Peter Lankas, Paul Murphy, Priya Joy, Leslie Duffin, Josh McGregor, Damien Slevin and Nicola Bolton. 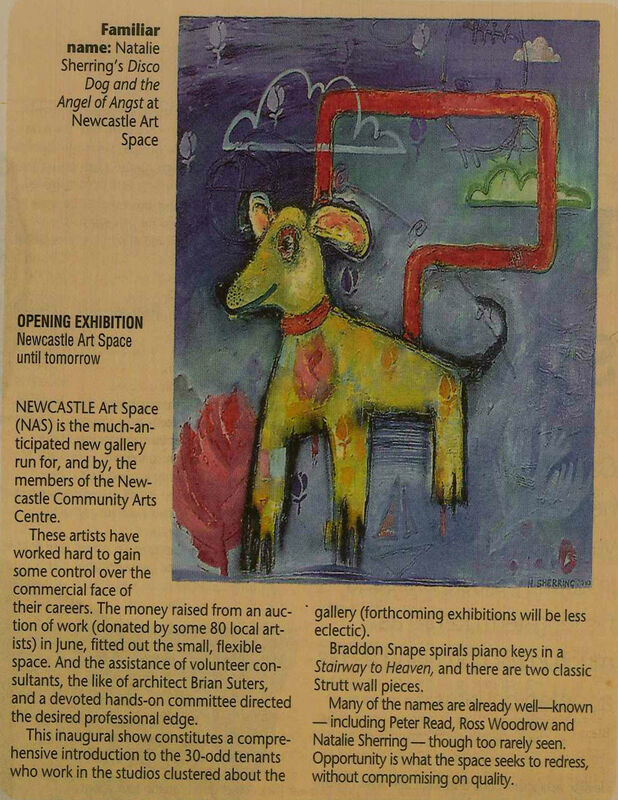 Leading up to the Newcastle Emerging Artist Prize 2015, we step back into the past to acknowledge the incredible contributions made to support and maintain the Newcastle Art Space Gallery (NAS). 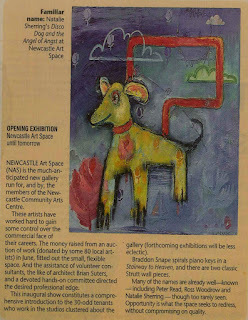 The inaugural committee was set up in April 2000 under the Gallery Director Kerrie Coles, with Braddon Snape, Shellie Snape, Helen Thomas, Steve Thomas, Lili-Anne Berg, Fiona Dewis and Danielle Palmer. The names below indicate the participation of artists in the Gallery over the years (NEAP not included in this data) and identifies NAS as both a ‘starting point’ for the transition into professional arts practice and an opportunity for others to follow on into professional arts administration and management, all from the West End of Newcastle.